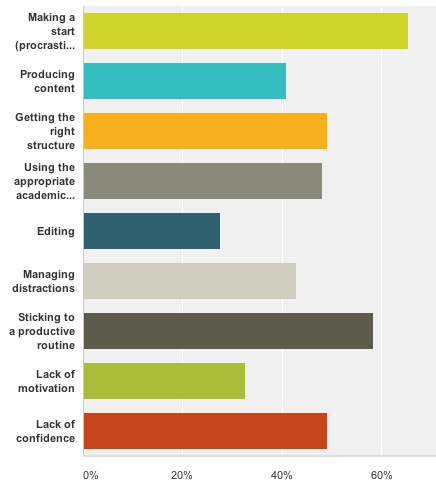 These are just some of the most common struggles amongst PhD students according to the survey (over 100 participants) I carried out while preparing for my webinar ‘My Top 3 Tips to Help You Write Your Thesis or Research Paper’. To be honest, none of it came as a surprise. That’s because as a student I faced exactly the same problems. And as a supervisor I see my (and other) students struggling with the same issues all the time. For most of us, academic writing does not come easily. 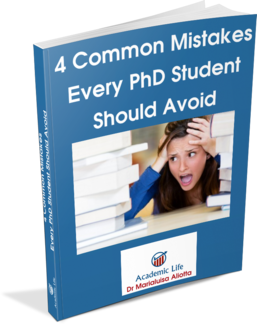 In fact, writing up a PhD thesis or a research paper can be such a daunting task that almost stops you in your tracks. The good news, though, is that academic writing is a craft that can be learned. All you need is someone to show you how. As a student, I have been incredibly lucky to have a supervisor who would spend tons of time reading my drafts, providing feedback and telling me exactly what I was doing wrong and how to fix it. I struggled and worried and fretted, up to the point I honestly thought I would not make it to submission. But then, little by little, revision after revision, I got there in the end. This is what I now try to teach my own students and all those who have got in touch asking for help and support. So, if you see yourself in the figure above, I have good news for you. I have created an online course for people like you who want to improve their academic writing skills but don’t quite know how. Yet, you do not need to be a scientist to benefit from lots of powerful strategies and tips that can make a difference in your writing and help you become a more productive, confident and successful writer in your discipline. Registrations for the course are now open. And if you sign up by January 14th (midnight UK time) you get 50% discount. Several people have already enrolled. Here is how you can join us. This entry was posted in Uncategorized and tagged academic style, Academic Writing, research paper, students on January 12, 2014 by Marialuisa Aliotta.